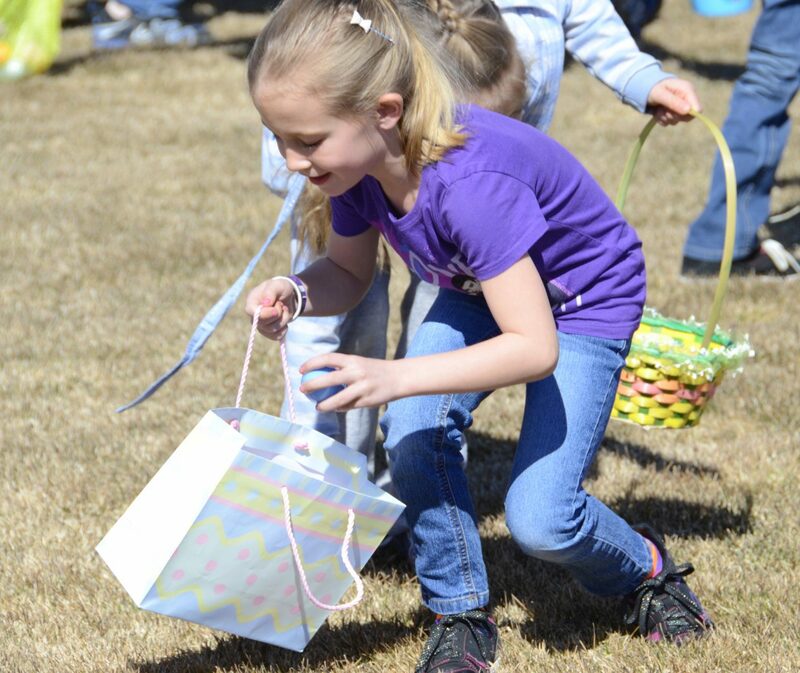 Skyler Coleman, then age 7, puts an egg in her basket at the 2013 Easter egg hunt at New Creation Church in Craig. This year's event is at 11 a.m. Saturday. Registration for the free event begins at 10 a.m. The egg hunt is open to toddlers through fifth-graders, and all children should be accompanied by a parent or guardian. Extra parking will be available at Ridgeview Elementary School. For more information, call 970-826-0792. For a third year in a row, New Creation Church will host an Easter egg hunt for families in the community at 11 a.m. Saturday. With 10,000 eggs prepared, children will have no shortage of the holiday icon as they search for them on the church’s property. All are welcome for the free event, which is open to youths in fifth grade and younger. Registration begins at 10 a.m., and before the egg hunt, kids and their parents can enjoy a variety of activities, such as face-painting, a petting zoo and bounce houses. Children also can enter drawings the church will offer for giveaways of more than a dozen free bicycles. Organizer Jessica Ashton said the preparation for the event, which last year saw about 300 children and 600 people total, begins in January and involves work and donations from many of the church’s parishioners to provide a fun environment the day before Easter.